The Kentucky Derby is this coming Saturday, May 5th, a rite of passage of spring. Many people have parties celebrating all things Kentucky and horse racing. My sister and her husband went to the pre-Kentucky Derby race activities last year and actually sat in a box next to Bobby Flay! If you are throwing your own party you should check out the Kentucky Derby website where you can find authentic Derby recipes, including the famous mint julep. 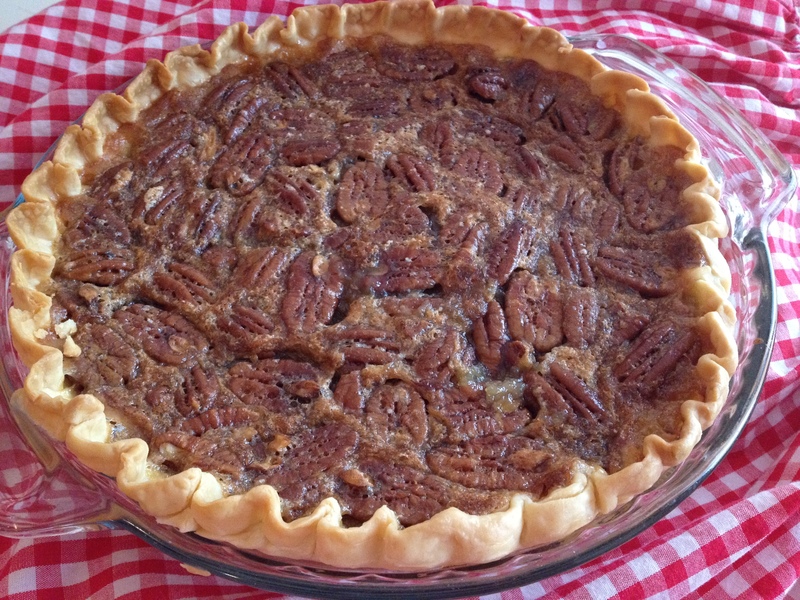 I saw this recipe in the Denver Post May 2011 and was intrigued as I have never made a pecan pie before. As you can read in the article, the Derby Pie was created in 1954 by Walter and Leaudra Kern as the specialty pastry of the Melrose Inn in Prospect, Kentucky. Apparently the recipe is top secret, so this recipe was created from the basic ingredients. 2) Placing aluminum foil atop the pie while baking for the first 30 minutes will help prevent the crust from burning. Remove the foil the final 15 minutes and the pie becomes the finished product you see above. Place your bets! This pie is a winner! This entry was posted in Baking, comfort food, cooking, Eggs, Kentucky Derby, Southern cooking and tagged baking, cooking, Eggs, Kentucky Derby, pecan pie, pie, Southern cooking. Bookmark the permalink. So much for healthy eating this week for me! It looks delicious! I just took one bite and it was fabulous! I hope to share the rest with people at work so I get this decadent dessert out of my house! It is a lovely pie. Better than I anticipated. I’ll be sharing mine with my co-workers next week. Pecan pie is decadent I’ll be sharing mine with co-workers. Need to spread those calories out thinly. Maybe next year I’ll actually have a Derby Party!